"Reduce organizational drag ​by 15%"
Turn insights into action with product lifecycle management (PLM), manufacturing execution system (MES) and digital part inventory (DPI). Members can plan, execute, evaluate data and improve their AM value chain. Reduce organizational drag and streamline communication with LINK3D. Identify and invite Additive Manufacturing experts and relevant contributors to bring AM parts to market. 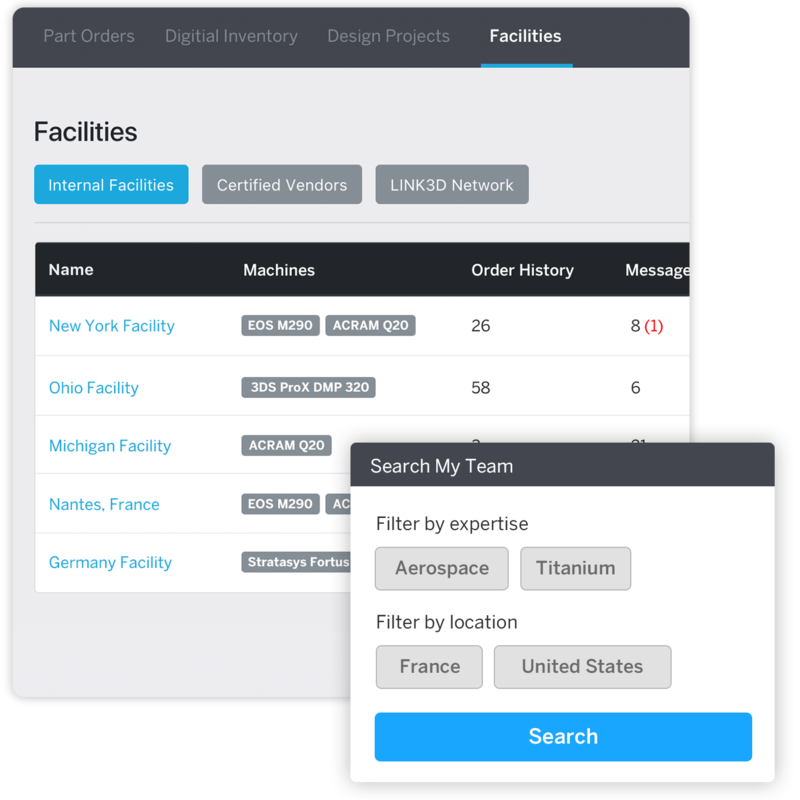 Access 200+ certified service bureaus across 37+ countries with LINK3D’s built-in industrial grade service bureau network. Source and test new Additive Manufacturing solutions and optimize production.